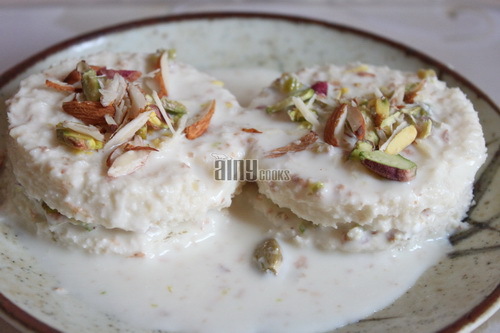 Bread Rasmalai recipe I first saw on a friend’s “Safoora’s Cuisine” page on Facebook. 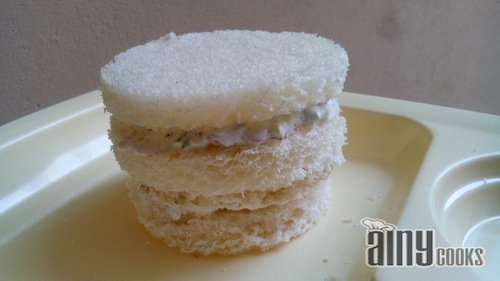 All ingredients were at home and very next day I ave tried this recipe and believe me it was delicious in taste. 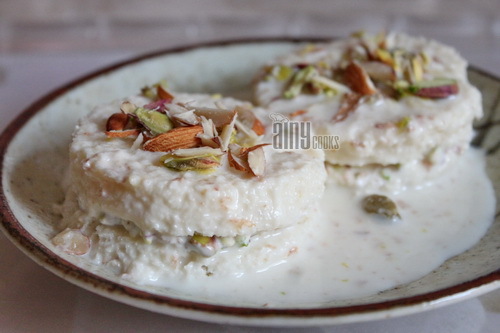 This instant Rasmalai is a simplest version of Original Rasmalai. 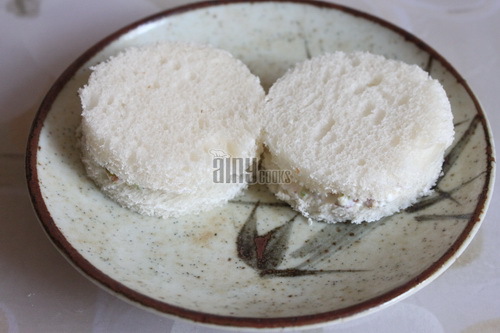 Cut bread slices with a round cutter. Size of rounds can vary. 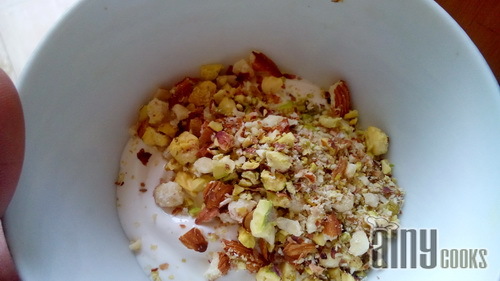 In a bowl add cream and chopped nuts, mix and spread on slices. 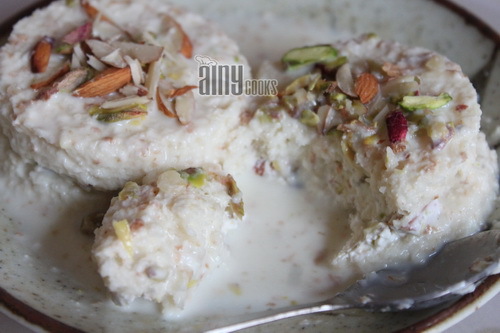 In a pan add milk , cardamom and condensed milk. Cook till reduce to half. 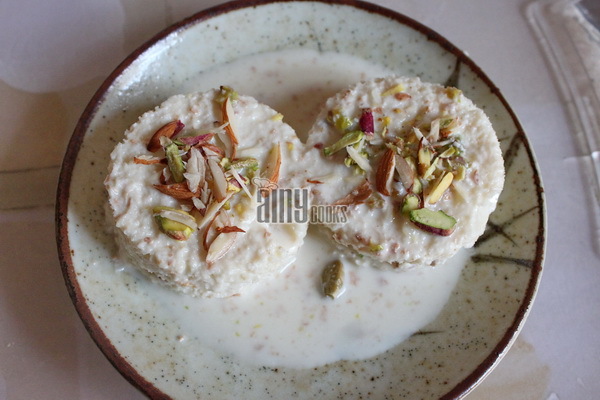 Add 1 tbsp crushed nuts in syrup. You can adjust sugar according to your taste. Now keep this milk syrup in fridge. 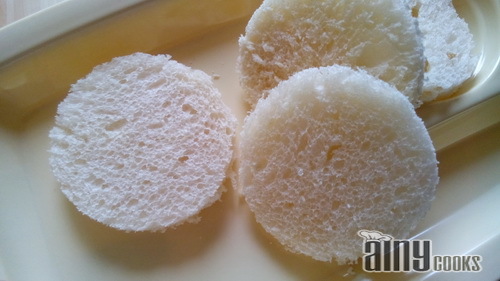 Before serving pour over bread slices. Syrup should be well chilled.